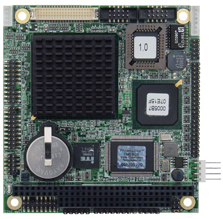 Our extensive line of compact, rugged SBCs is based on CPUs targeting embedded applications, ranging from the economical AMD LX800 and Vortex86DX to the high performance Intel Core i7 latest generation U series Skylake/Kaby Lake. These products adhere to industry-standard form factors such as PC/104, COM Express, ETX, EPIC, and EBX. 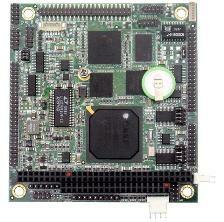 Our SBCs are designed with 2 key criteria in mind: ruggedness and I/O. 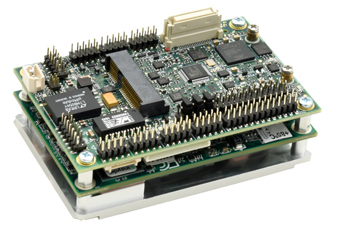 On average a DSC SBC will provide more I/O and greater ability to withstand harsh environments than other SBCs of the same size, CPU class, and price category. Most of our SBCs are 2-in-1 products. 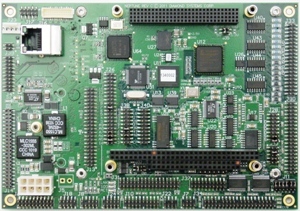 These boards incorporate a complete professional-quality data acquisition subsystem onto the board. 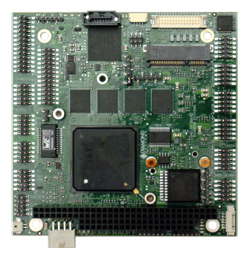 By eliminating an add-on board required with other SBCs, this integration significantly reduces the size and weight of a system requiring analog I/O and can also to provide significant cost savings. Diamond pioneered this concept and still leads the industry in its implementation. Most of our newer SBCs utilize superior conduction cooling for thermal management. 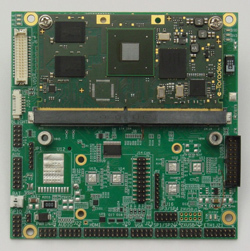 Instead of the traditional heat sink which inefficiently transmits heat to low-mass air trapped inside the box, a conduction-cooled SBC utilizes a flat plate with a large surface area to transmit the heat directly to the much higher mass enclosure wall. Conduction cooling significantly reduces the temperature gradient between the CPU die and the exterior environment, leading to higher safety margins and higher reliability in high ambient temperature conditions. 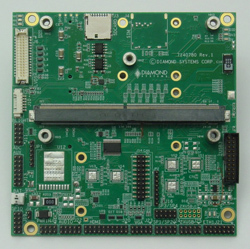 Diamond was an early adopter of conduction cooling in small form factor SBCs and today offers the widest range of these products. 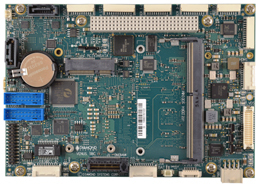 Since virtually all of today's embedded processors offer limited lifecycles of 5-7 years, any long-life product dependent on a single-board computer (SBC) is guaranteed to require redesign sometime during its lifecycle. Typical industrial product lifecycles of 10-20 years (as is common in military, transportation, and medical products) may call for 2, 3, or even 4 such redesign efforts. Such efforts can be extremely costly, not only in terms of the actual design activity but in terms of inventory management, documentation management, manufacturing changeover, and after-market service as well. When (not if) the COM reaches the end of its life, it can be replaced with a newer COM with relative ease, while the rest of the system, including the I/O, power supply, connectors, cabling, and physical dimensions remain exactly the same. In this way long lifecycles are much more easily supported. In addition, customers can create multiple configurations of their systems, selecting a different COM for each one based on price, performance, and power considerations. 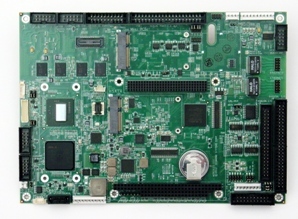 A COM-based SBC combines the high-performance processing and leading-edge system I/O capabilities of COMs with the modular expansion flexibility of stackable single board computers, all within a single compact, rugged, reliable, pre-integrated module. Additionally, the modules' large thermally-conductive baseplate provides both an efficient cooling solution and a standardized mounting-hole pattern that ensures interchangeability for alternate features or performance upgrades. These SBCs consist of three layers, as illustrated below. The central core is its COM layer. Below the COM layer is the thermally-conductive baseplate layer. 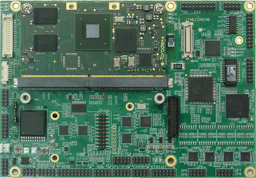 Above the COM layer is the application layer, which provides I/O interface connectors, expansion module sockets, and in many cases additional functionality. 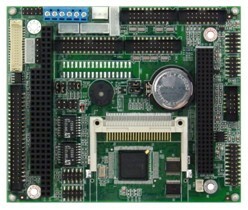 This innovative design provides optimal thermal management, and makes it possible to integrate complete embedded-PC functionality plus a full set of peripheral interface header connectors, stackable I/O expansion, a variety of expansion sockets, an on-board flashdisk, and extra features such Ethernet interfaces, serial ports, and an on-board DC/DC power supply -- all within compact, industry standard small form factors such as COM Express or ETX. 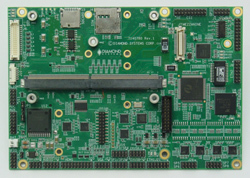 These highly integrated board-level subsystems can be used as plug-and-play embedded components or as platforms for application development and reference designs.